A fighter from the Free Syrian Army's Al Rahman legion carries his weapon as he moves inside a damaged building on the frontline against the forces of Syria's President Bashar al-Assad in Jobar, a suburb of Damascus. Moscow is unaware of plans by Washington to arm Syria's moderate opposition if the current truce fails, Russian Deputy Foreign Minister Sergei Ryabkov has said. "We know nothing about any 'Plan B', no one has discussed it with us, we are working on the strengthening of the ceasefire regime," he told reporters on April 13, answering an Interfax question. "If 'Plan B' actually exists in the form of a shift to possible military operations, this is a cause for profound concern and disappointment," said Ryabkov. "Hopefully, it does not exist," he said. 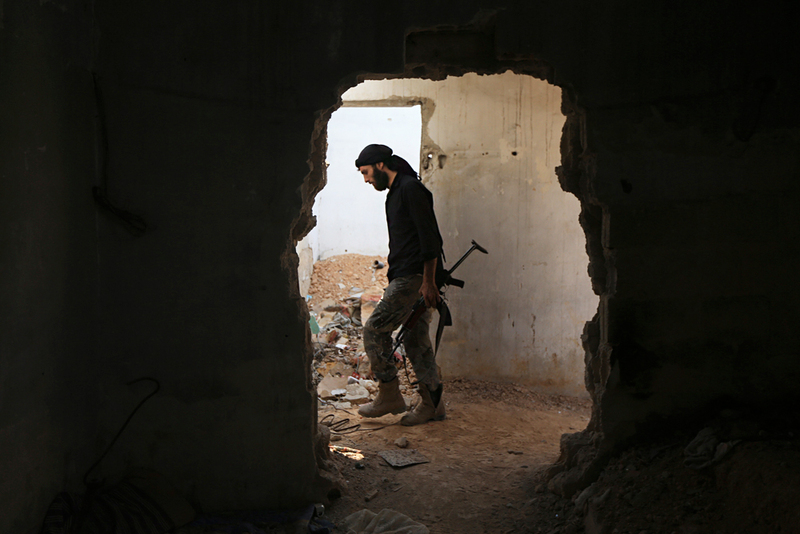 The Wall Street Journal wrote about Washington's "Plan B" for Syria on April 12. According to the newspaper, Syrian moderate opposition groups could be supplied with U.S. antiaircraft weapons if the ceasefire collapses.